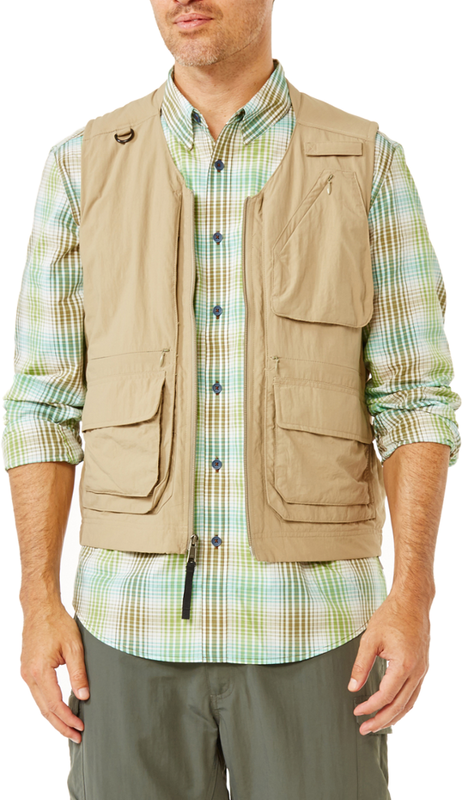 Arc'teryx Men's Apparel Clothing A2B Comp Vest - Mens Black Large 364141. GORE WINDSTOPPER delivers windproof protection up front and Velolain fleece at the back and sides provides thermal regulation on the move. The trim fit is specifically designed to move with a cyclists body. 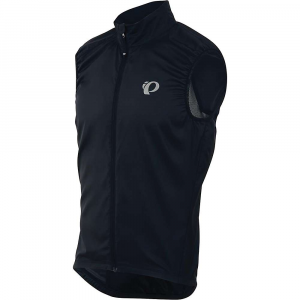 A low-profile hood adds additional warmth under a helmet and discrete reflective elements add visibility without impacting the vests off-bike styling. 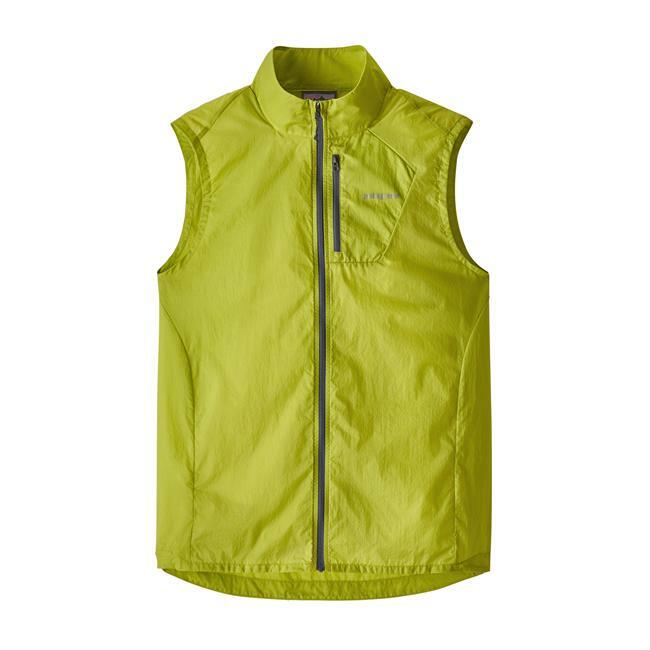 The men's Arc'teryx A2B Comp vest protects you from cold temperatures and winds on your next bike adventure. Its trim fit moves with your body and the low-profile hood fits comfortably under a helmet. 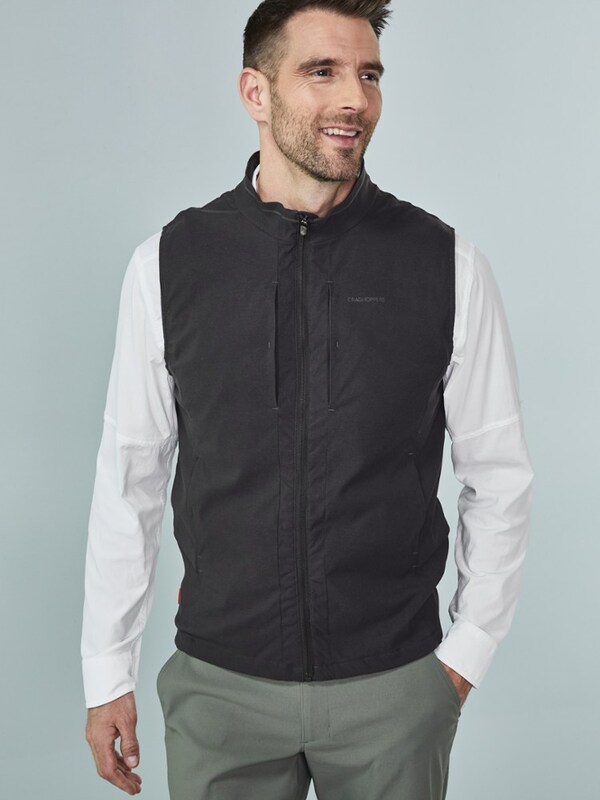 Optimized for bike commuters battling chilly breezes, the Arc'teryx Men's A2B Comp Jacket provides windproof protection and active breathability. This means you'll stay pleasantly warm without soaking in perspiration while commuting to work. It's designed with a trim fit that prevents excess fabric from flapping in the wind or snagging on your seat. Clean, minimalist styling seamlessly blends into urban landscapes and workday environments alike. Gore WindStopper along the front blocks whipping winds from stealing precious body heat. 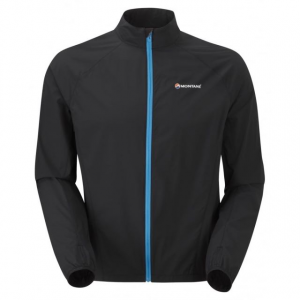 This windproof construction is also water-resistant, beading off oncoming rain showers and road spray. 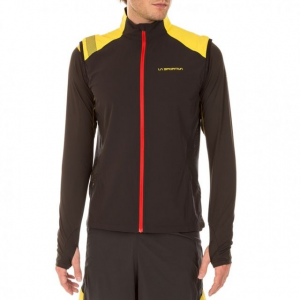 The windproof front panel is combined with Velolain performance fleece along the rear and side panels. This lofty fleece is both warm and quick-drying with its blend of synthetic and merino wool fibers. Ultimately, the combination of windproof construction and cozy fleece regulates your core temperature as you pedal down windy urban corridors.